You'll find us in - Plymouth Lane, Christchurch CDB, New Zealand. 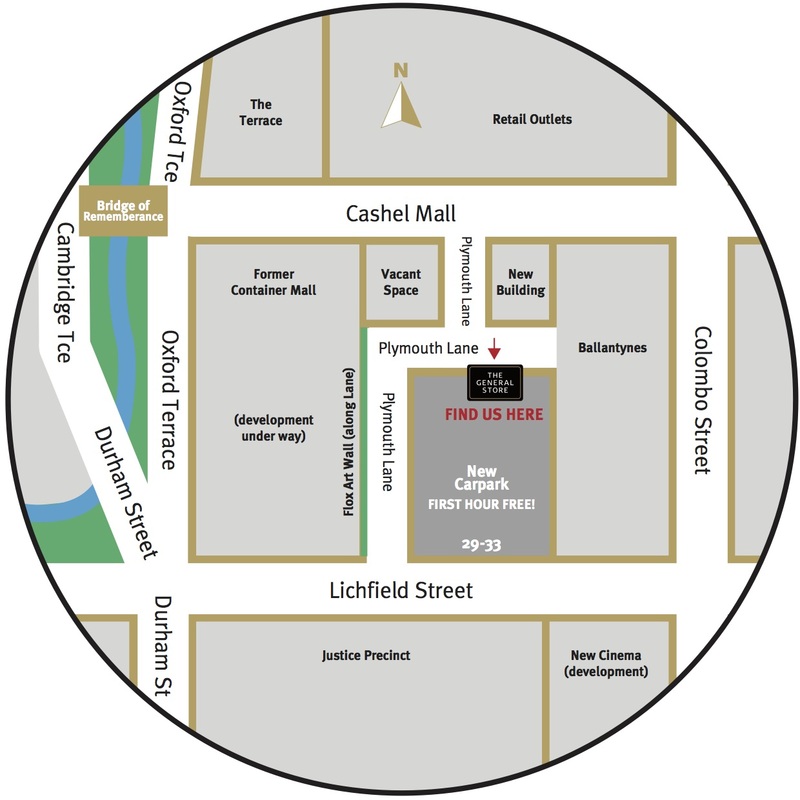 (a new development linking 33 Lichfield Street with Cashel Mall). Trading in-store - Monday to Friday 10am to 5.30pm / Saturday 10am to 5pm. Sunday - closed over winter.